Cosplay that Made My Day…. 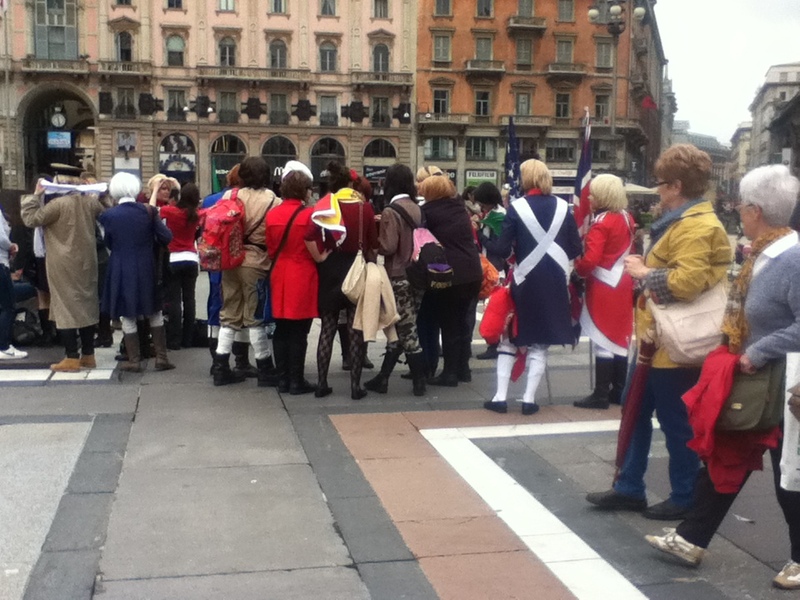 April 29, 2013 Nerdie LifeAmerica, Canada, cosplay, furries, hetalia, italian, italy, study abroad, vacationAndee D.
… Involved furries and a group of Hetalia cosplayers in front of the Duomo in Milan. Wut. Behold! The thing I came to see! And the Cosplayers! The Italian cosplayers! Can I just say that I find it a little ironic that Italians would be playing characters from a show about how idiotic their country’s physical embodiment happens to be? But whatever, at least they didn’t ask for money! Also the costumes are so good I wanted to cry. Just saying. And thus I continue my posts after a 10 day trip to Italy. With Stuff like this going on. In Milan.